Google Cloud Search, a new product that uses machine intelligence to provide a unified search experience across G Suite. Already available on the web and via the Android app, Cloud Search is now accessible on your iOS device as well. 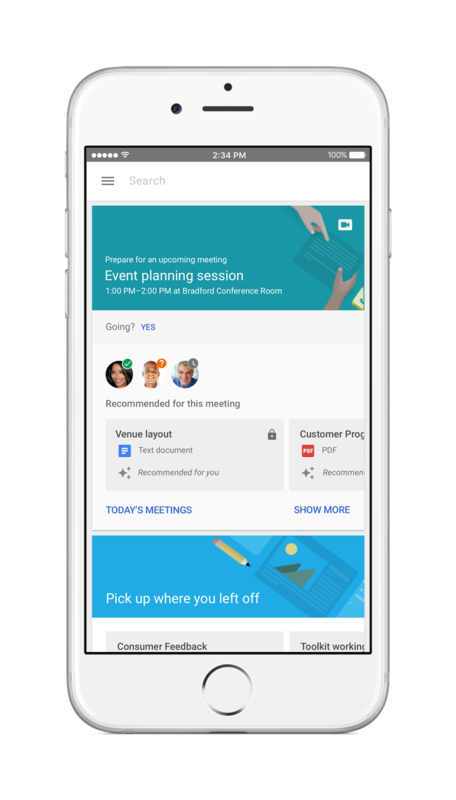 Starting today, you can download the Cloud Search iOS app from the App Store and search across your G Suite applications right from your iPhone or iPad. For more details, check out the Help Center articles below. This past February, we introduced Google Cloud Search, a new product that uses machine intelligence to provide a unified search experience across G Suite. Already available on the web and via the Android app, Cloud Search is now accessible on your iOS device as well. Starting today, you can download the Cloud Search iOS app from the App Store and search across your G Suite applications right from your iPhone or iPad. For more details, check out the Help Center articles below.